East Dallas developments, odd headlines, and Elvis' broken 'bow. NIMBYism Defeated on Henderson Avenue. A small number of cranky East Dallas residents are worried that their neighborhood will soon look like Plano, but the City Council thankfully overcame their protests and approved a large development between Glencoe and McMillan for “retail, offices, green space, greenhouses, and restaurants.” Some younger, less cranky residents look forward to having more than bars within walking distance. Other News on the East Dallas of Our Future. Walmart is paying rent on that empty Greenville space until 2032, and it sounds like the owners aren’t in a hurry to fill it. Thank God the ceilings are too low for trampoline parks. Dallas Only Has 48 Ambulances. Which isn’t enough—emergency calls are up 20 percent since 2010—and Dallas Fire-Rescue is trying to find solutions that don’t involve buying more pricey vehicles. Some options: take patients to the nearest hospital rather than their preferred one, or don’t take low priority patients (which account for nearly a third of calls) to a hospital at all. Ooor, we could go the route of Washington D.C., which is to give patients vouchers for Uber. Elvis Andrus Broke His Elbow In the Ninth Inning. He was hit by a pitch. The Rangers lost to the Angels last night, their fourth loss in a row. 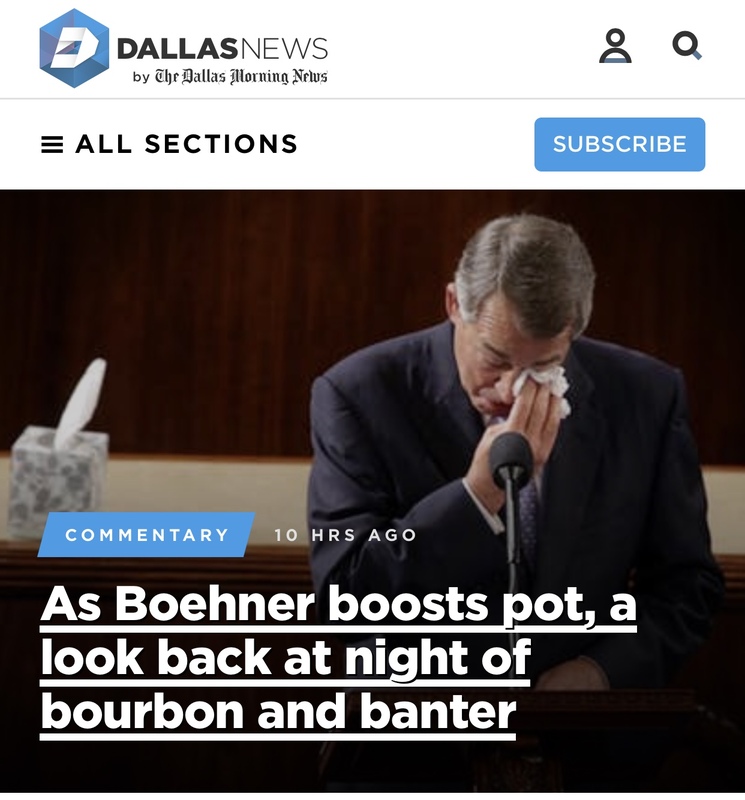 Who’s Writing These Odd Headlines at the DMN? And why are they sneaking in hidden ads for the poorly-named bar at The Statler?